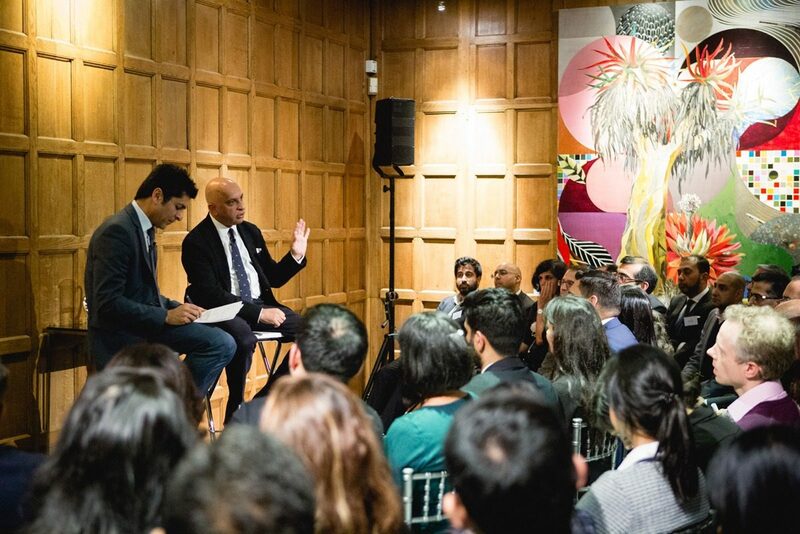 In January 2018, Lord Verjee shared his views on his Lessons in life and business at a small question and answer session with London’s Ismaili community at Thomas Goode and Co.
Lord Verjee told a standing-room only crowd about his journey through life. The audience listened to highlights from his career, including how he successfully brought the Domino’s Pizza franchise to the United Kingdom. Lord Verjee also shared his thoughts on the future. 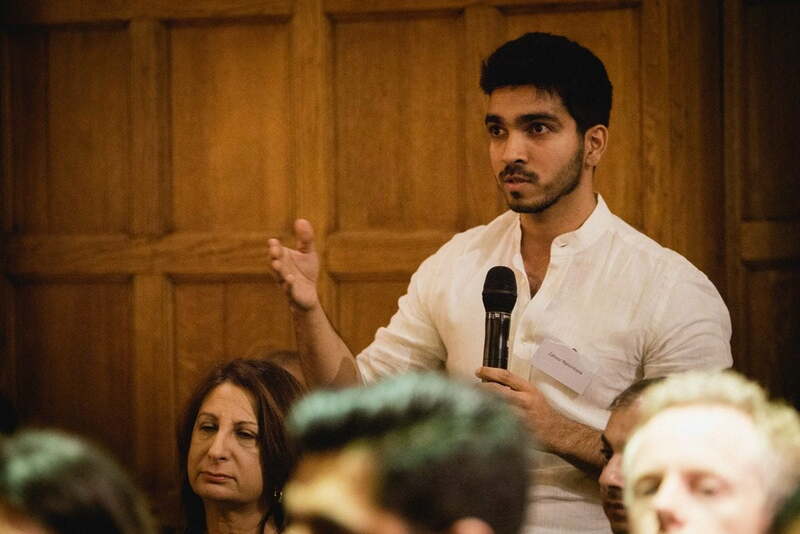 He discussed the potential impact of Brexit, and how technology could change our world. 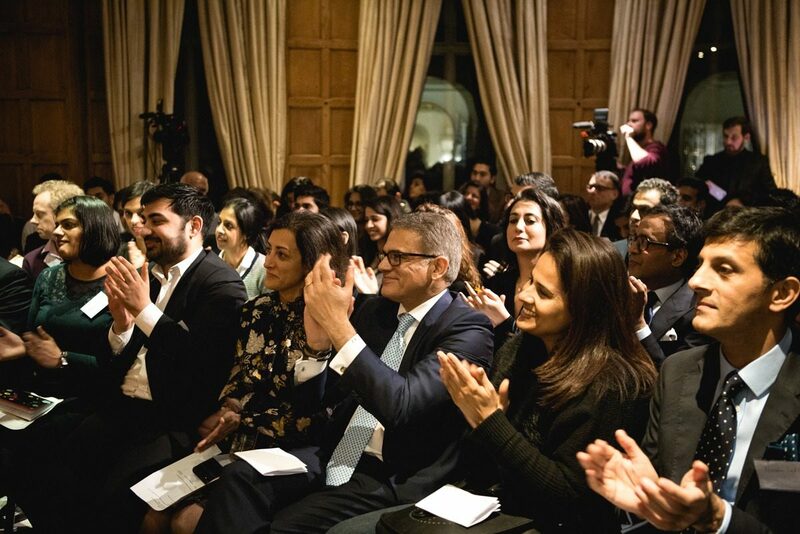 The event was part of the Business Card Exchange (BCX) series, launched by the Economic Planning Board of the London Ismaili Centre. 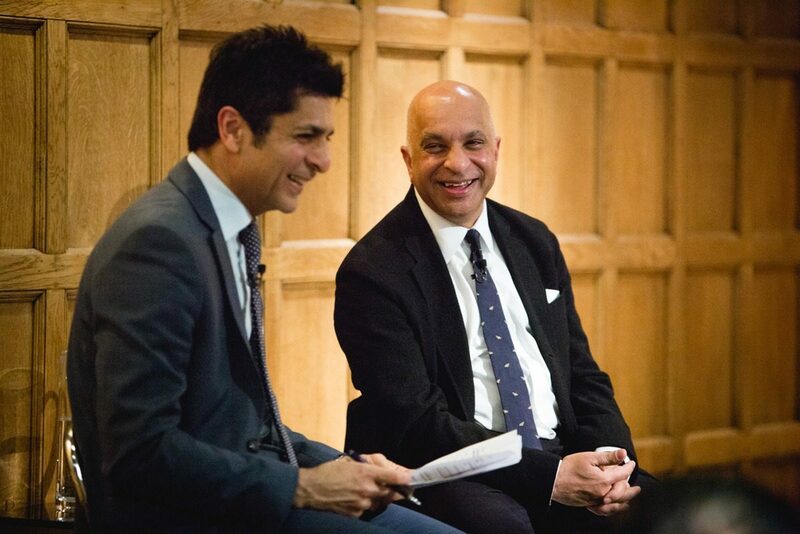 The series connects members of the Ismaili Muslim business community with professionals and entrepreneurs from a range of industries and sectors, giving them an insight into exciting lives and engaging stories. In addition, they provide a great opportunity for members of the community to engage in a relaxed social setting. Evenings such as these are a great way for members to listen to fresh and innovative thinking. The Rumi Foundation is proud to provide such a valuable space for those present to think, learn and grow. Events are regularly held at London’s Ismaili Centre, where visitors can be sure of a warm welcome.